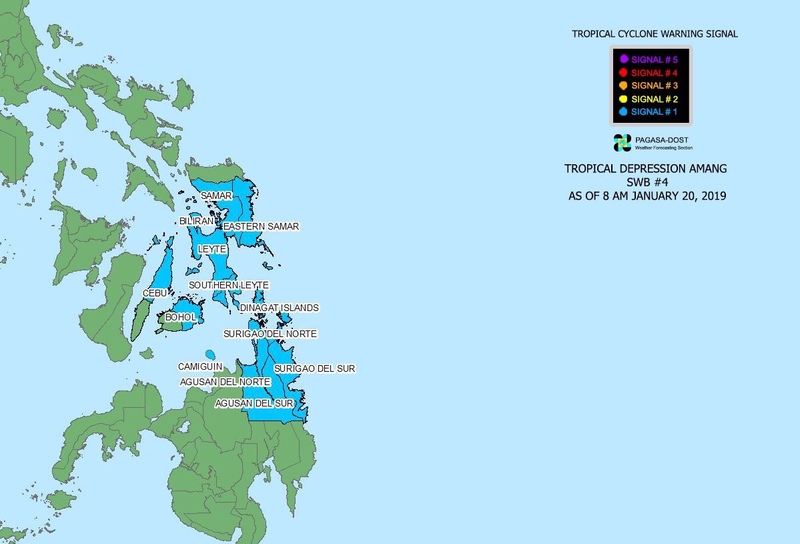 Naval, Biliran – Tropocal Cyclone Warning Signal Number 1 has been raised in Biliran Island and 12 other areas in the country as Tropical Depression “Amang” heads toward Surigao del Norte Sunday morning, January 20. Placed under TCWS Number 1 are the provinces of Eastern Samar, Samar, Biliran, Leyte, Southern Leyte, Eastern Bohol, as well as northern Cebu in the Visayas, and Agusan del Sur, Agusan del Norte, Surigao del Sur, Surigao del Norte, Dinagat Islands and Camiguin in Mindanao. As of 7 a.m. Sunday, the eye of Amang was located at 360 kilometers east of Hinatuan, Surigao del Sur, packing maximum winds of 45 kilometers per hour (km/h) near the center and gusts of up to 60 km/h. 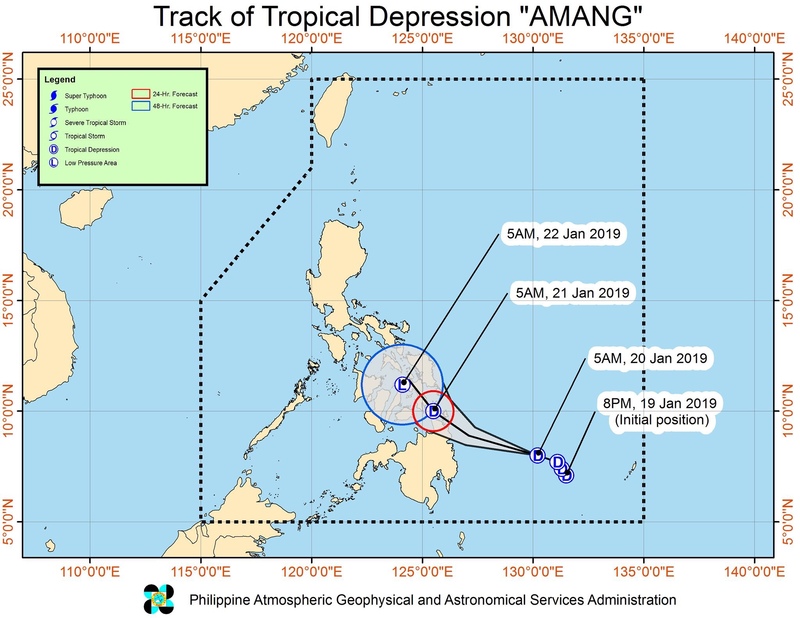 The Philippine Atmospheric, Geophysical and Astronomical Services Administration (PAGASA) said Amang was forecast to move west northwest ath 25 km/h. 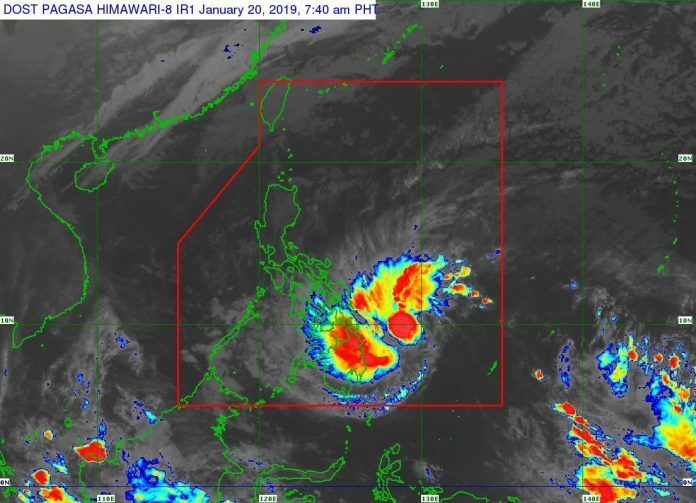 The tropical depression is expected to make landfall over Surigao del Norte mainland-Siargao Islands between afternoon and evening Sunday, January 20, said Pagasa. Truth on Senate bet Glenn Chong has more ‘police escorts’ than usual. Is this allowed? Shanebo on TRAVEL WARNING: BILIRAN ISLAND. riders beware! James Clever on TRAVEL WARNING: BILIRAN ISLAND. riders beware!